In 1902 Hirman A Rodee jr, cleared part of the grove and built a Hotel with a Diner and stables, In addition he added a large auditorium made from canvas, He named the park after a known poet by the name of John Ruskin. Over the following years people built cottages or errected tents for camping at the park, Many traveled on special trains to the park to enjoy stage plays or just picnic, The park soon became a very popular cultural and entertainment centre. In 1910 Robert E Dowdell and Ben H Millard purchased the park and added a theater, forty cabins as well as a one mile race track. 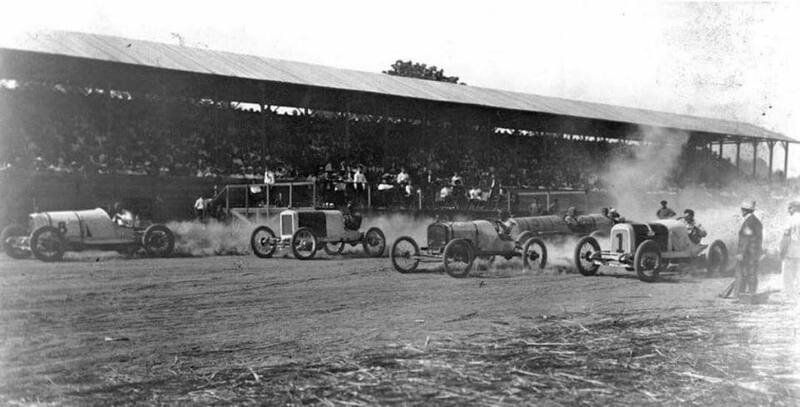 Ruskin Park Speedway opened in 1914 and operated through to 1931 as a one mile high banked dirt oval track before if closed. Ruskin Park reopened in 1951 as a 1/4 mile banked dirt oval track and operated through until 1956 when it once again closed.